The Pancake Rocks, Punakaiki, are a unique natural attraction on New Zealand’s South Island West Coast. Layers of water sculpted limestone, resembling stacks of pancakes, form a fantastic tableau – made even more dramatic by the shooting geysers of sea spray often evident at high tides. These geysers come from the blowholes – water worn passages through which jets of seawater are forced in high seas. Quite awesome displays of rushing spray can be seen on many days of the year – because of the Tasman Seas’ powerful wave action. Five minutes walk north from the Pancake Rocks walkway is the Punakaiki Cavern, hidden away on the eastern side of the main road. Car parking is available on the sea-side of the road, slightly north of the cavern. Take care when crossing the road. A very short walk from the main road leads to the stairs up to the cavern entrance. 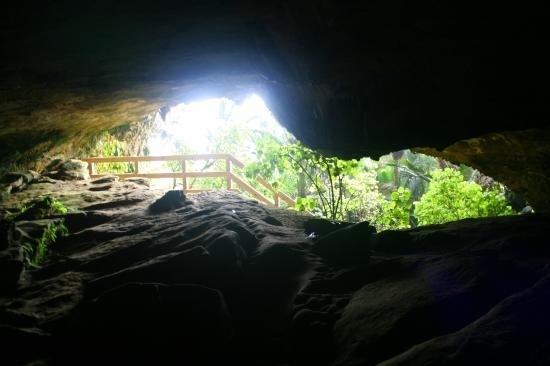 The Punakaiki Cavern is a Karst cave, formed with a combination of water and carbon dioxide, carving out the cave from the Oligocene limestone. Make sure you take a torch to explore the cavern and wear suitable footwear. 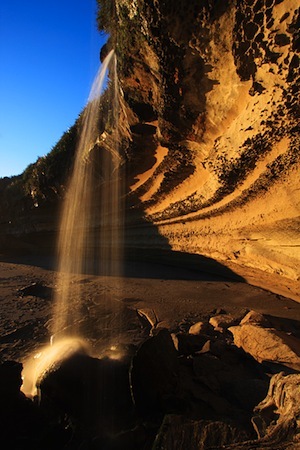 Truman Track is another very popular short walk in Punakaiki. Car parking is available opposite the track starting point, a few minutes drive north from Punakaiki, at Te Miko. he Rainforest. The track begins in the beautiful sub-tropical rainforest of ferns, nikau palms, rimu, etc. Nearing the coast it passes through typical West Coast coastal flax flats before emerging onto a coastal headland with stunning views up and down the local coastline. A stairway leads down on the north side of the headland to a fine gravel beach featuring cliffs, caves, a waterfall and amazing rock formations. The beach is accessible at low tide where you can walk north and further explore the rugged coastline. Allow approximately an hour return, to fully explore the track and the beach.